For the first time, a new Center for Disease Control report says more Americans died from a heroin overdose than gun homicides in 2015. 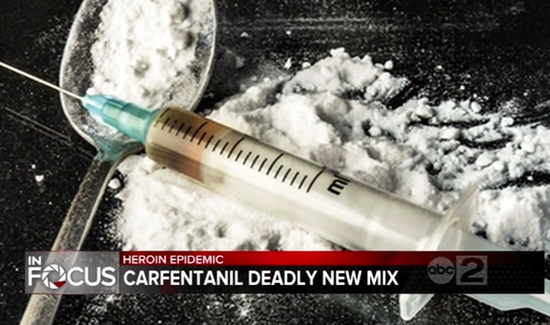 Nearly 13,000 people died in total from a heroin-related incident that year. For South Dakota law enforcement officials, these startling numbers aren’t a surprise. Both Attorney General Marty Jackley and Minnehaha County Sheriff Mike Milstead say they’ve seen the trend rising over the last several years. Jackley said he’s optimistic the state is in better shape than other areas of the country. “We are certainly trending up at a much steadier pace and I think we have some things we can do to turn the tide,” said Jackley. He said two key points of the state getting on top of the problem is an increase in awareness programs and the use of Narcan. Narcan is a nose spray used to bring someone who overdosed essentially back to the life. Milstead said that the use of Narcan emphasizes his concern. “There’s a reason we have it and that is we’ve seen a 200 percent increase in heroin seizures in the Midwest just this past year,” said Milstead. He said he believes any solution to the upward trend is going to have to be more than one group of shoulders to bear. “Trying to handle it by arresting more people isn’t the answer. You need prevention, you need treatment and you need enforcement. All three of those are important legs to the stool if you’re going to be successful,” said Milstead.